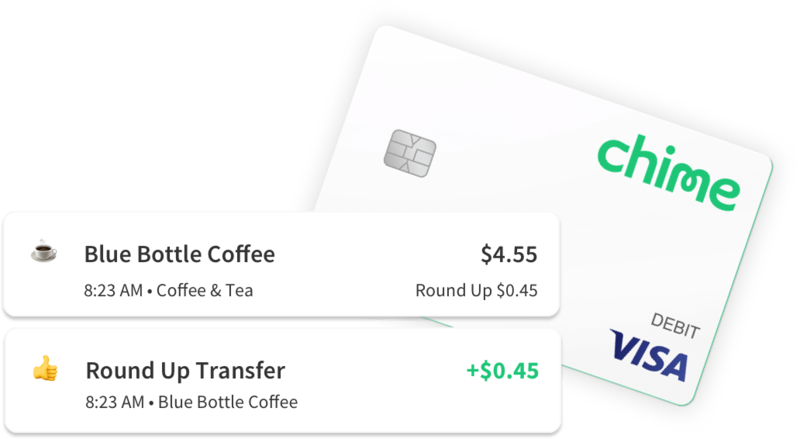 Chime is one of the fastest growing mobile banking apps in the U.S. with over 1.5 Million accounts opened to date. 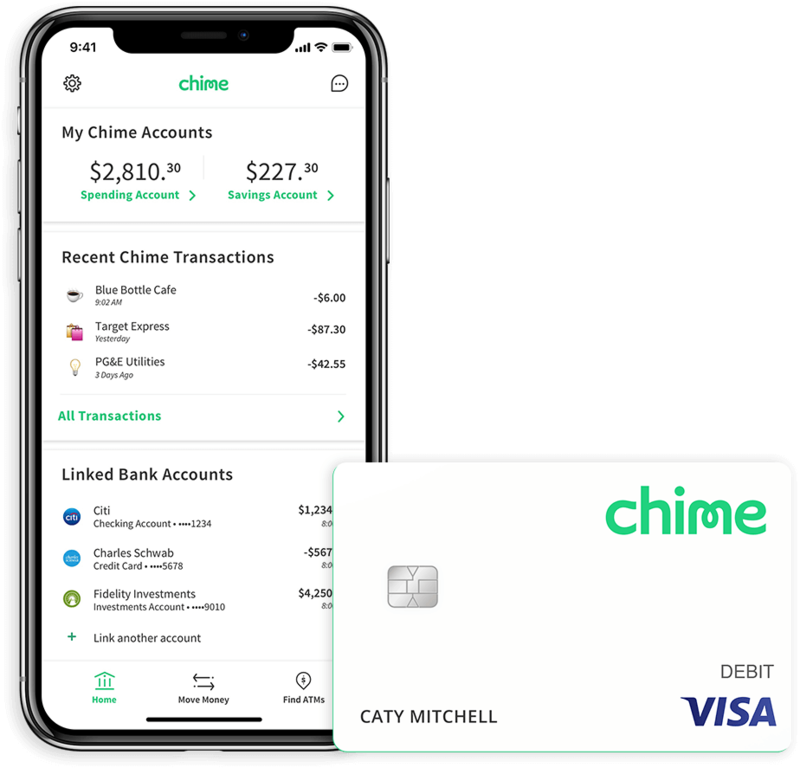 With Chime, you get a Chime Visa® Debit Card, a Spending Account, and an optional Savings Account – all managed through an award-winning mobile banking app that gives you complete control of your money everywhere you go. 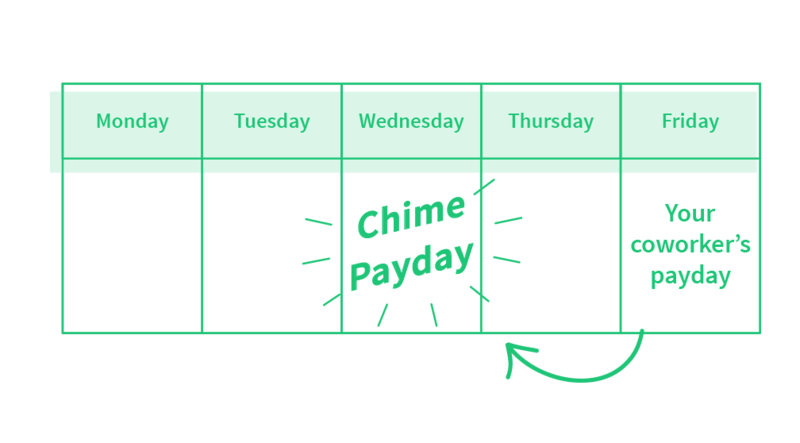 With Chime you get updates via notifications every time you spend, you get PAID TWO DAYS EARLY, and they never let you overdraft. "Best bank account I've ever had"
I love the savings account, the roundups, and the 10% savings from each check. Chime is the best bank account ever I swear! "Best App & Best Bank Account"
Amazing. The best part about this app is that I get paid two days early. My coworkers didn't believe me when I told them! Say goodbye to unnecessary bank fees. No minimum balance requirements. No monthly service fees. No foreign transaction fees. No transfer fees. Over 38,000 fee-free MoneyPass and Visa Plus Alliance ATMs. Reach your goals faster by saving money automatically. Our Automatic Savings features help you save money any time you spend or get paid. Security and control on the go. Chime’s mobile app makes branchless banking a breeze. Manage your money and account on the go, wherever you go. Your deposits are insured up to $250,000 through The Bancorp Bank; Member FDIC. Fee-free ATMs at over 38,000 MoneyPass and Visa Plus Alliance locations. Real-time alerts for every banking transaction. Automatic Savings takes the effort out of saving. 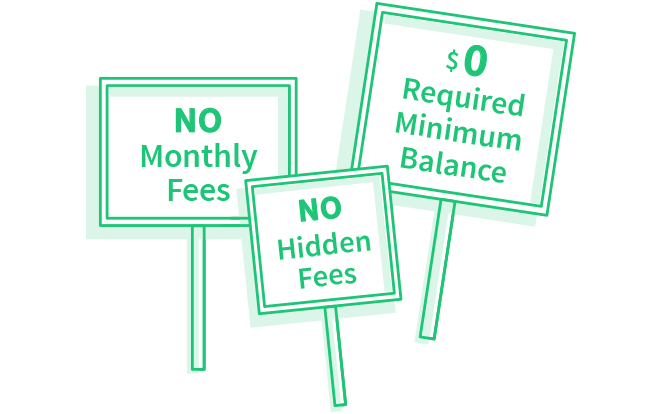 No minimum balance fees or monthly fees. Make the switch to a bank account that has your back. 1Faster access to funds is based on a comparison of traditional banking policies and deposit of paper checks from employers and government agencies versus deposits made electronically. Direct Deposit and earlier availability of funds are subject to payer's support of the feature and timing of payer's funding. 2You must notify your financial institution immediately of any unauthorized use. For specific restrictions, limitations and other details, please consult your issuer.